Snakes exist all over the world, though relatively few venomous species live in Europe, and only a handful in France. All of France's vipers are true vipers—distinguished from pit vipers by the absence of the heat-sensitive pit organs located slightly below and between the eyes and nostrils on both sides of the pit viper's head. The common or European adder (Vipera berus) is a somewhat smallish snake of varying colors and patterns found in France and other parts of Europe. The 18- to 27-inch-long snake ranges from the solid light browns and grays of males to the colorful yellows and reds of females. Some snakes display a characteristic zigzag pattern on their backs—with a row of oval spots along the sides beneath it—while others do not. One other characteristic is a black mark resembling a letter X or V on top of the head. This snake prefers grassy or rocky sloped habitats and farm fields. 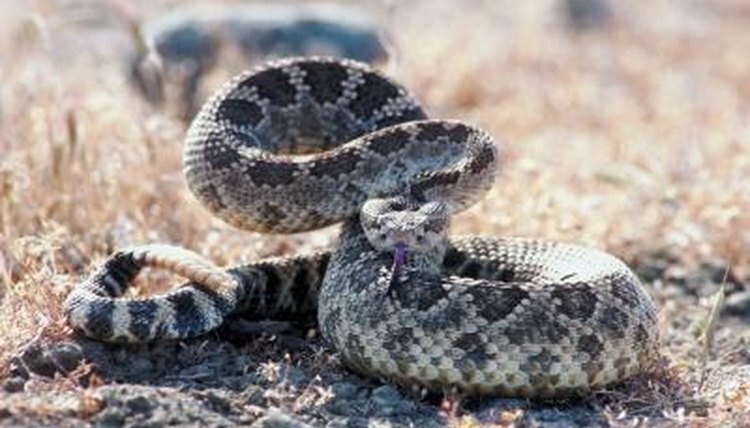 Its many common names, including asp viper, aspic viper, European asp, European viper, jura viper or just plain asp, reveals that this snake, Vipera aspis, is widespread and well known over much of Europe—especially the southwestern portions, where the dry soils and sun that it prefers predominate. The species has five distinct subspecies. This 25-inch-long snake is considered the most dangerous one in France, and its bite can even prove fatal in rare cases. Fortunately it is recognized rather easily by its characteristic short tail and a typical viper-like, triangular-shaped head, although its overall body pattern is highly variable and indistinct. It likes glades, clearings, scrub areas and meadows exposed to sun. Tragically, the Orsini or Ursini viper (Viper ursinii), in France found only in a small area of the southeast, is now endangered. This unobtrusive viper, usually under 20 inches long, rarely bites humans—preferring to avoid conflict or keep its mouth closed even when striking to defend itself. It is usually gray with the typical viper zigzag pattern in black, though it can be brown or olive green in color as well. Though venomous, the Montpellier snake (Malpolon monspessulanus) is not a viper. This is a large snake capable of reaching over 6 feet in length but, though imposing, it is relatively harmless to most humans since its fangs are short and located near the rear of its mouth where they are useful in dispatching its favorite prey of lizards, rabbits and small rodents. It prefers the sunny Mediterranean areas of France, where it is listed as "in decline."